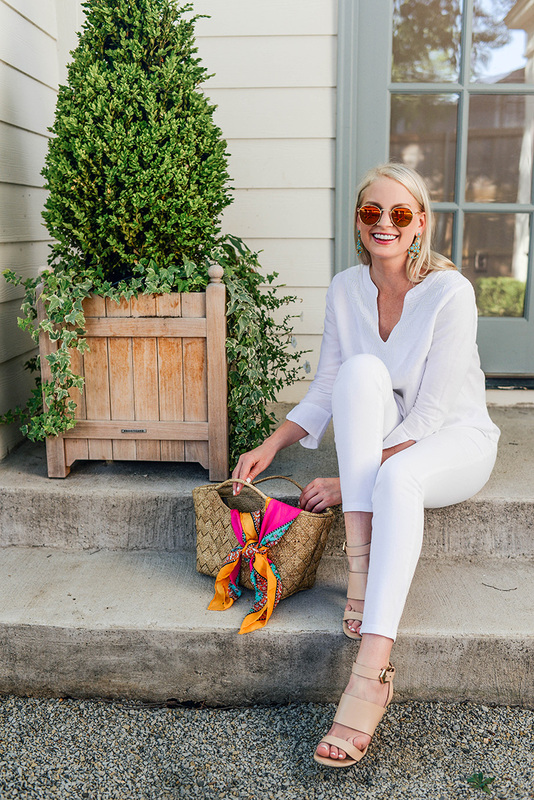 I know nobody follows the “only wear white between memorial day and labor day” rule anymore, but there’s something so exciting about pulling out your crisp, summer whites for the season! 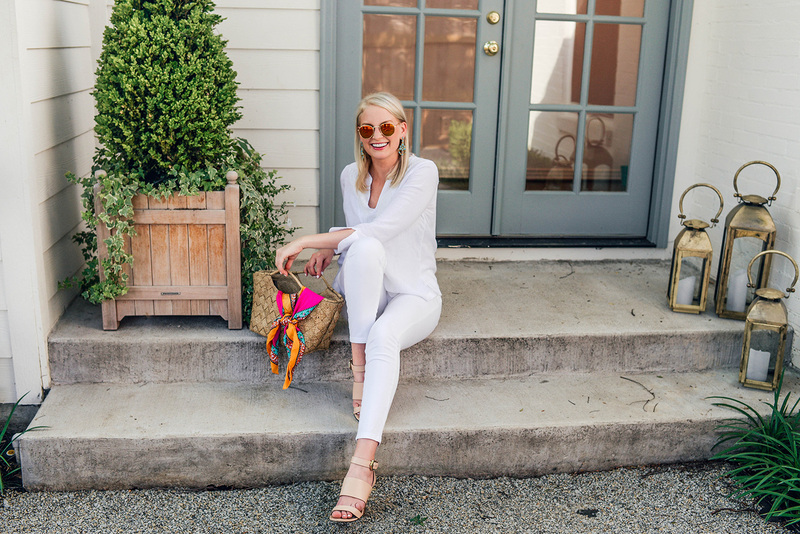 As a neutral lover myself, white has always been a go-to color in my wardrobe… especially this time of year! 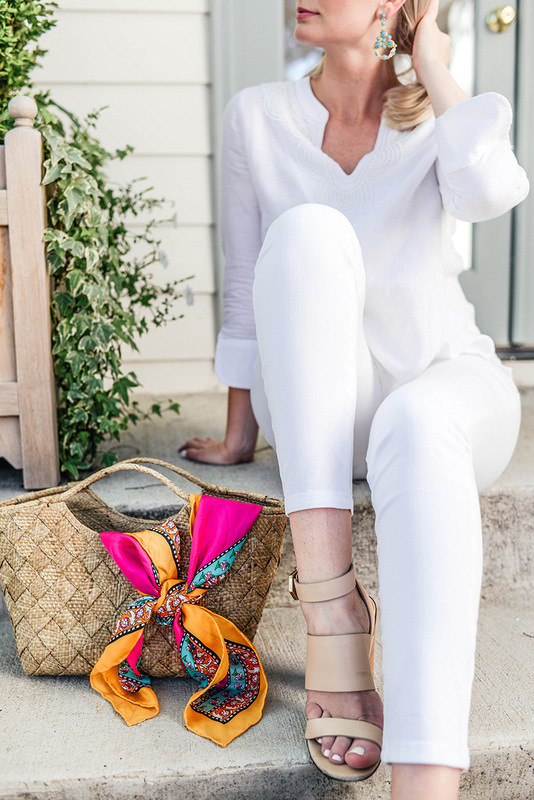 White jeans, little white dresses and even white bags and shoes are on my radar this season! This linen pintuck dress is just the kind of lightweight number I reach for during these hot Texas summers! A lovely piece you can style for day or night. 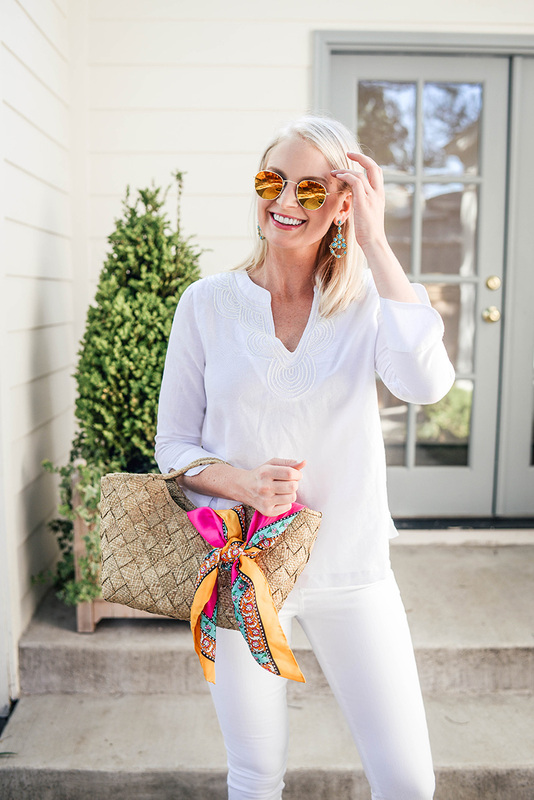 I love a good tunic top, and the one I’m wearing is so comfortable and features the prettiest embellished neckline! This button-front tank is under $80 and a breezy piece to wear with jean shorts or tuck into skirts! You guys know of my eyelet obsession, right? Don’t miss this under $100 blouse. Such a gorgeous piece! 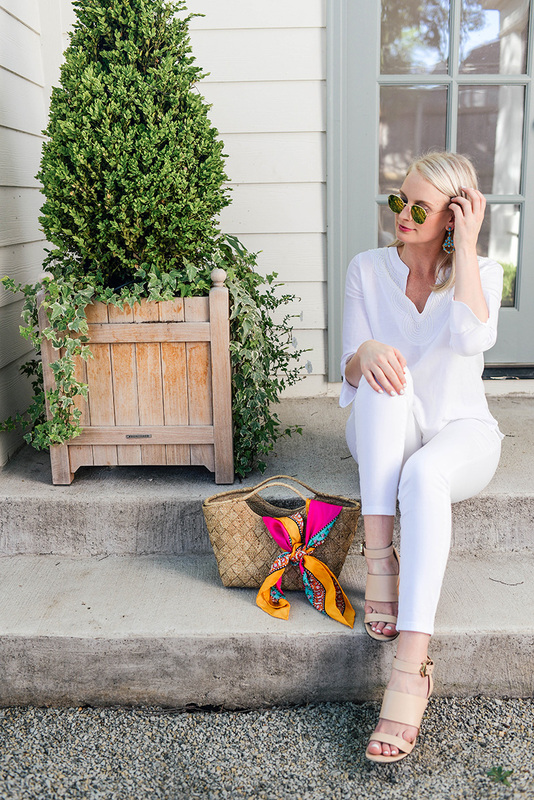 Every girl needs a pair of clean white jeans. This pair is super soft and very flattering! Did I mention these jeans are under $100? Before your next vacay, snag this coverup to wear by the pool/beach! Also love this one with the tasseled sleeves. I love an all white look! So fresh.